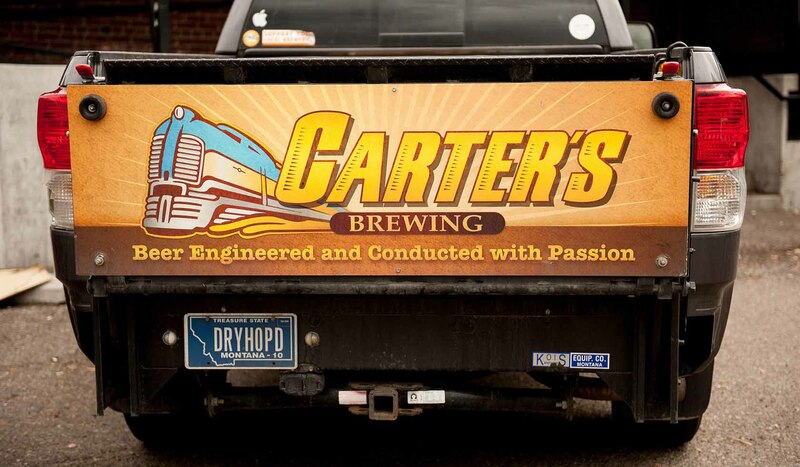 Carter's Brewing of Billings is on the rails, right out the back door, in fact. If you're into railway culture and history, and happen to enjoy great microbrew, add this taproom to your pub crawl. The railroad theme permeates everything at Carter's; a great location (previously used by the railroad for storage), the logo (a toy train favored by Uhrich's son, Carter) and of course the beer names: Train Wreck Imperial IPA, Switchyard Scottish Ale, Dark Horse Stout, Golden Spike Pilsner, et al, and Uhrich's three "signature beers," Handcar Hefe, Derailed IPA and Black Magic Porter.